Founded in 1975 by Brent Glover, we are in our 40th year of operation. 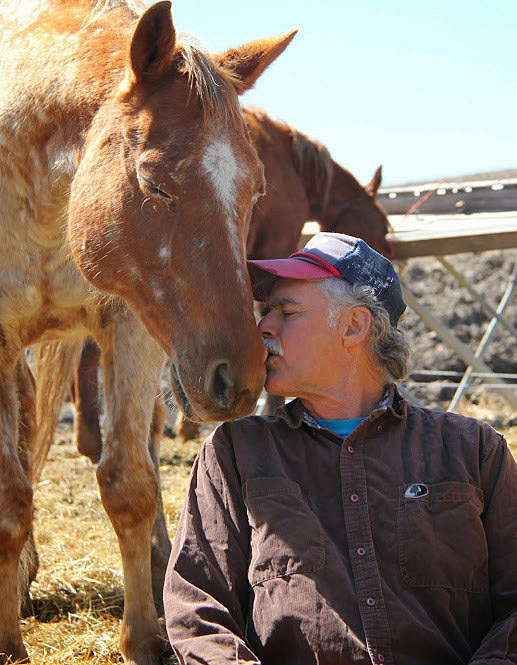 This makes Orphan Acres, Inc. one of the oldest horse rescues in the nation. It is still managed and operated by Brent Glover and is an established, non-profit 501(c)3 rescue facility located in Viola, Idaho. Since our inception, we have found homes for over 2830 horses and have had over 4000 placed in our care. Donors and volunteers are the life blood of our organization and 100% of time and funds received goes directly into helping us fulfill our mission. 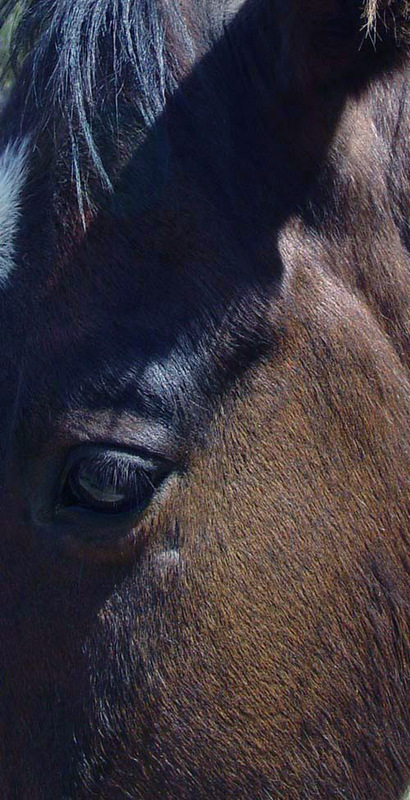 The mission of Orphan Acres Equine, Rehabilitation, and Sanctuary, Inc. is to provide care and rehabilitation for abandoned, neglected, abused, and malnourished horses, while educating the public regarding the issues surrounding rescue and rehabilitation including all aspects of horse ownership and care. Where our animals are from, how they arrive at the farm, the length of their stay, and where they go when they are ready to leave, depends upon a variety of factors. Horses come to us from across the nation, Vermont to South Carolina, California, to our own northwestern states of Montana, Washington, Wyoming, Oregon and Idaho. Many come from places where the owners were either unwilling or unable to provide proper care. 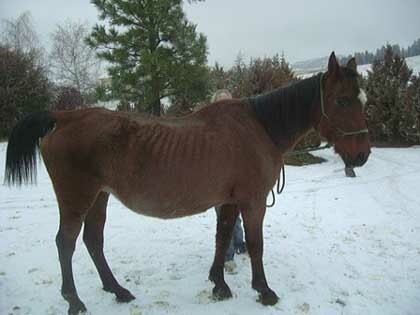 They often arrive starved, in need of medical attention, and otherwise neglected. These horses require a lot of love and a lot of food before they are back in condition fit enough to be adopted or placed in a new home. 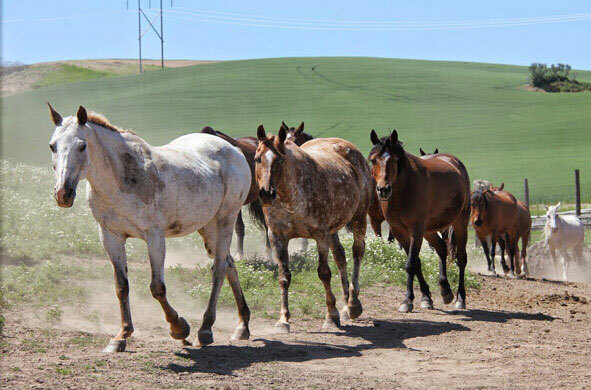 In cases where an animal is too old or has too many problems to be safely adopted out, she/he then becomes a member of the Orphan Acres permanent herd. 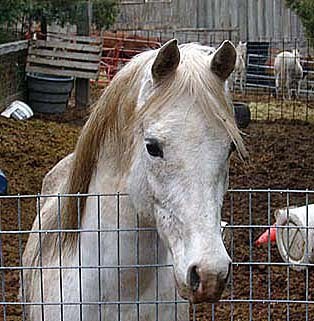 Some of these horses may still be adopted if the right family comes along and can deal with their issues. 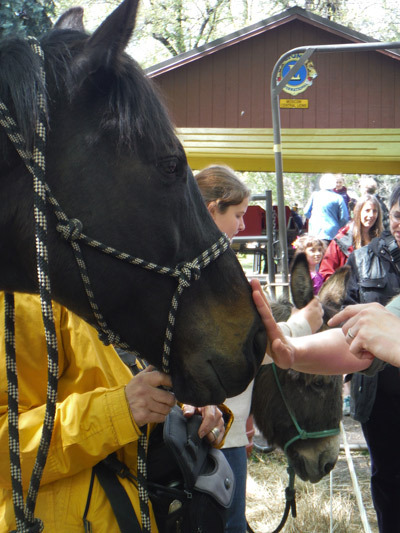 Not only do we provide a safe haven for neglected and abused equines but we also play a huge role in the community. 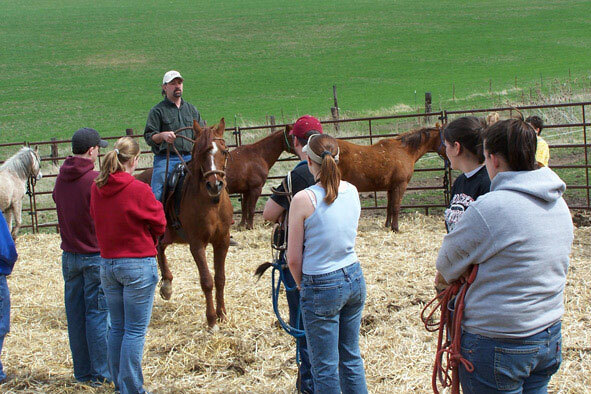 We network with veterans, special needs children, the YMCA, Washington State University, the University of Idaho, and many others to provide education and understanding about, not only our horses, but all horses in general. 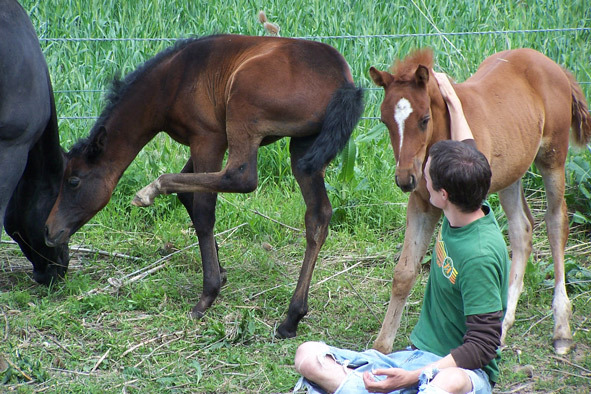 In our experience we have found that horses make great mentors and teachers. While we highlight being a rescue and rehabilitation center, we also work with people, helping miracles happen on both ends of the lead rope. © 2008-2015 Orphan Acres, Inc.
You can sponsor a grateful Orphan Acres senior or special needs horse for approximately $3 per day. But the horses appreciate whatever you can afford. This covers hay, grain, vaccinations and farrier costs.